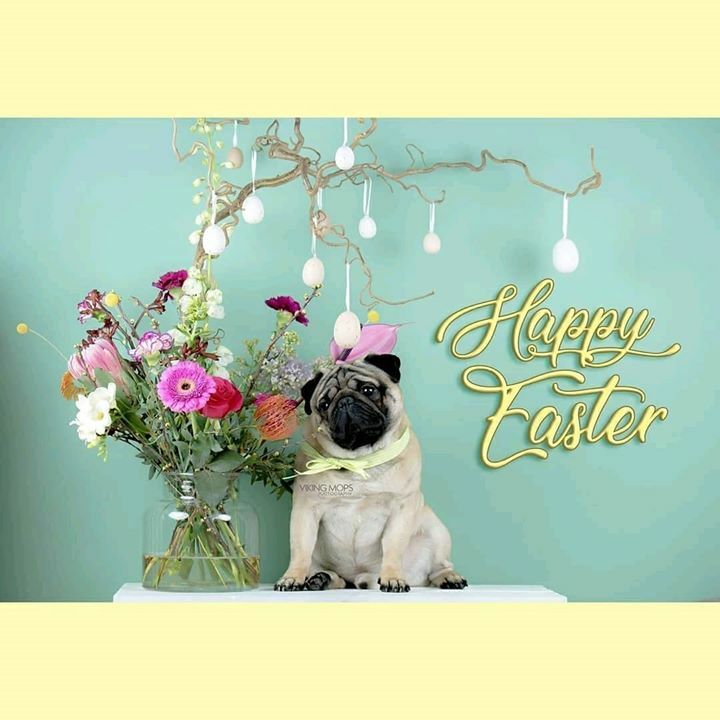 🐰 Happy Easter Pug lovers from Viking Mops and Us! Hello friend! We hope you and your family have a Happy Easter holiday this year. We are excited to share this super cute photo with you courtesy of our long-time friends Viking Mops Pugtogrophy. 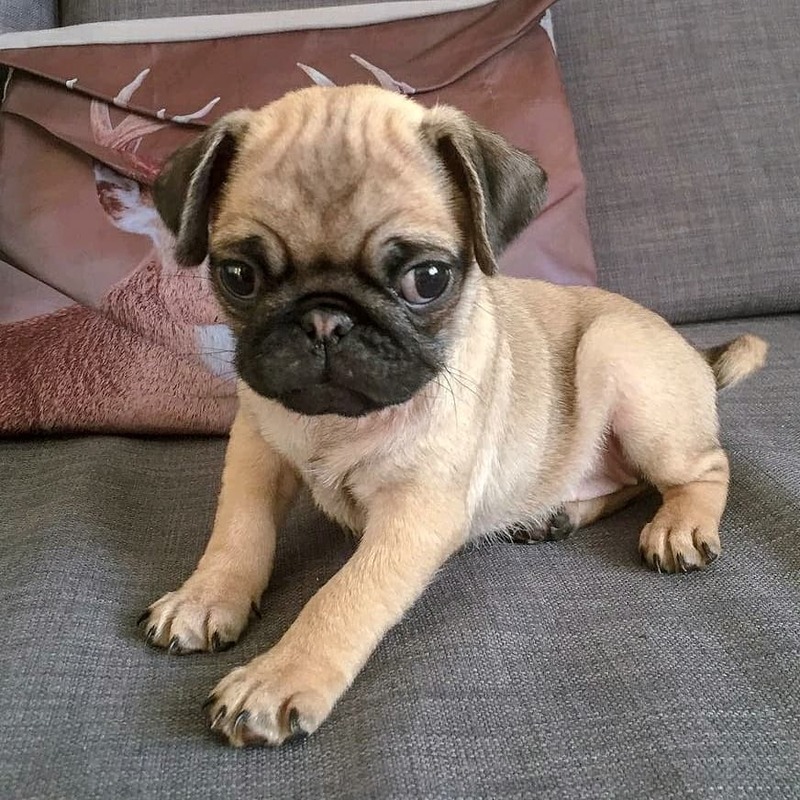 Viking Mops has brought the cuteness to you even longer than Join the Pugs! Every photo is taken by Wendy Davenschot master Pugtogropher and Pug lover hailing from beautiful Zwolle in the Netherlands. The cuteness in this photo emanates from Valdemar the Viking Pug of Wendy’s family who has won a plethora of awards across Europe! Valdemar is named after the rich history of Danish kings. We told you Valdemar comes from a rich Pug history! As mentioned, Valdemar hails from the gorgeous city of Zwolle in the Northeast section of Holland. Zwolle was founded around 800 CE by merchants and troops of Charlemagne! Wow, that’s a long time ago, especially to American Pugs like us! Incidentally, name Zwolle is derived from the Dutch word word for “hill” or “to swell” because Zwolle was established in area of rolling hills. What does this have to do with a Happy Easter? Great question, and we’re glad you asked! 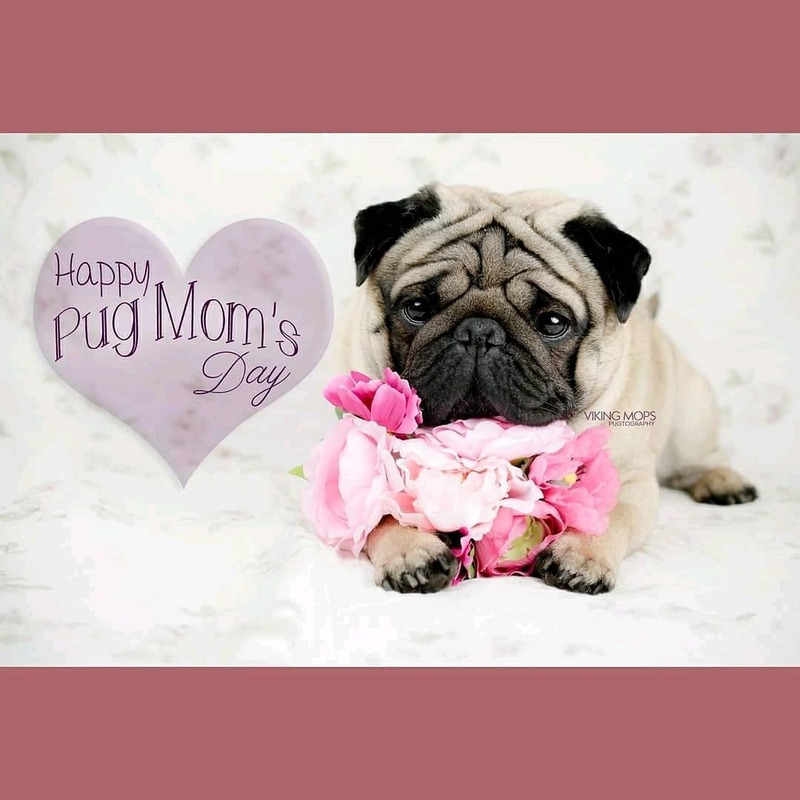 If you love Pugs as we do, you’re part of a rich history and vast global network of those who recognize Pugs as magical, whimsical, snugglicious cuties! Doesn’t it feel great to know you’re only a tiny piece of the Pug puzzle? It means that Pug love is an endless tide! In fact, there are Chinese artifacts that depict Pugs from 2,500 years ago. 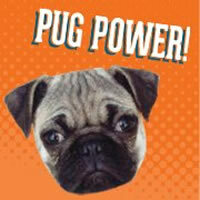 Do you have pawsome Pug facts? We would love to hear from you! You can contact us at this link any time. Happy Tongue Out Tuesday Puglovers! It’s in the air again, a Pug’s favorite day of the week after the entire weekend! A day where Pugs get to hang their tongues out with pride and reverence. Being a Pug is being close to nature. 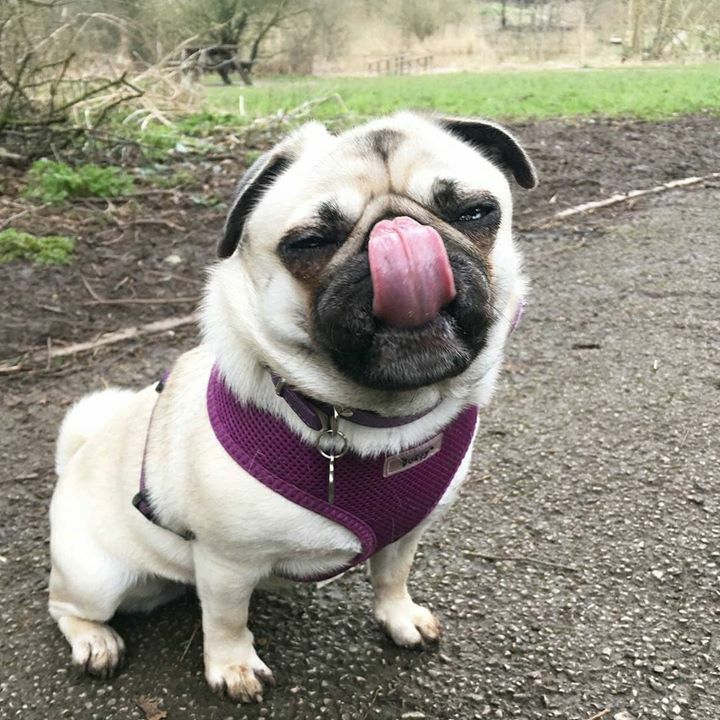 And the way a Pug can get closest to nature is through their tongues or a nap! Especially a nap in the grass with all four paws in the air and the tongue hanging out. Not familiar with Tongue Out Tuesday or #TOT? Check this link out. As you can see from the photo above, Suki can taste Tuesdays coming from a mile away. Which reminds us to ask you to follow @suki.the.pug on Instagram. Do you have a pawsome photo to share? We would love to check it out! Contact us any time at this link. Size matters not for Liv the Pug! Often, big cuteness comes in small packages and the Liv the Pug is no exception. Take her darling little nose for example? It’s beyond adorable! What about these eyes? They can melt the hear of any Pug lover in a flash. How about the way her curly little tail wraps around her little rump? And the ears, they look softer than the finest cotton money can buy! Indeed you do Liv the Pug! You look way beyond cute, regardless of whether it’s grammatically correct to say it. We would be honored to snuggle with you any time, Liv! 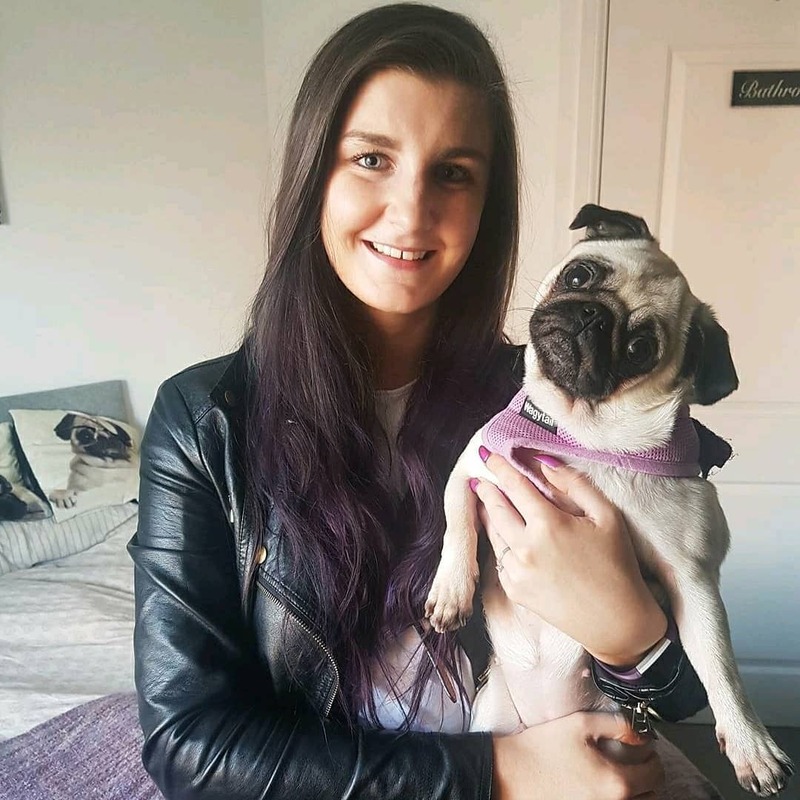 We love sharing adorable Pugs and there stories! Drop us a line at this link today. 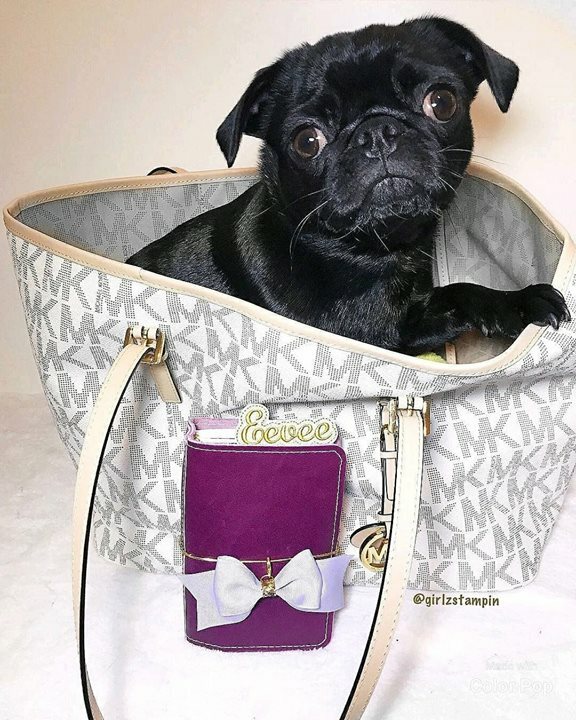 She may be Cici the Petite Pug, but she packs a lot of cuteness! Cici the Petite Pug is no stranger to being loved and snuggled by her hoomans. As you can see here, Cici is in fine hands with her mom who loves her dearly. Cici the Petite Pug says that she adores affection and loves to be showered with attention. But how adorable is Cici? Look at this face! She’s a total dumpling. “Can you feel the love?” 👉@cicithepetitepug says on Instagram. We can see that Cici wants for nothing and all her wants and desires are meet by her loving hoomans! Do you have a pawsome photo and story to share? We would love to get them! You can contact us anytime at this link.